Bioidentical Hormone Replacement Therapy Dr Arasu is a general practitioner who specialises in bio-identical hormone replacement therapy and functional medicine. She treats women and men with symptoms of hormone imbalance by using individualised doses of bioidentical hormones and nutrition. Conditions treated include hypothyroidism, PMS, endometriosis, fibroids, polycystic ovarian syndrome, perimenopause, post natal depression, menopause, osteoporosis, low libido, fatigue, anxiety/depression, acne and andropause. Dr Arasu was born in the UK and read medicine at the Royal Free and University College London medical school. She obtained her Diploma from the Royal College of Obstetricians and Gynaecologists, the Diploma from the Faculty of Sexual and Reproductive Medicine, the Diploma in Child Health and membership to both the Royal College of Physicians and the Royal College of General Practitioners. This has given her a very solid foundation from which to address the needs of her patients. 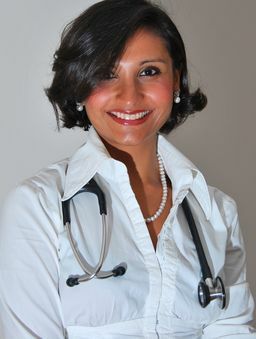 She has always recognised the uniqueness of her patients and that successful treatment comes down to finding exactly what is right for that individual at that time. She strives to find the root cause of disease through addressing imbalances and dysfunctions with a combination of bio-identical hormones, nutrition and the best of conventional medicine.